It all began when I witnessed the new growth unfurling on one of my loquat trees. The leaves were a mesmerizing bright green, like the color of lime with a hint of sunshine. Ah, sunshine, I thought! How I longed for warm, sun-drenched days. The darkness, cold and wet of winter had begun to unravel my soul. The rains throughout the winter, although welcome and necessary, have been torrential. The creeks are full and raging. If only we could save this H2O to quench summer thirsty landscapes. Our hillsides are carpets of emerald grasses. The only hint that salvation was near was the happy stalks of the ubiquitous daffodils singing to the sky an end to the melancholia. I wanted to bottle a bit of this luminosity from those loquat leaves so I did the next best thing . I painted my fingernails the exact color! An odd choice, I've been told, but I was hell-bent on awakening spring. The next day, the weather reports suggested that we would bask in sunlight for at least a week. My earthy polish must have summoned the gods of rebirth. As if on cue, terra firma has erupted in a procession of power plants. 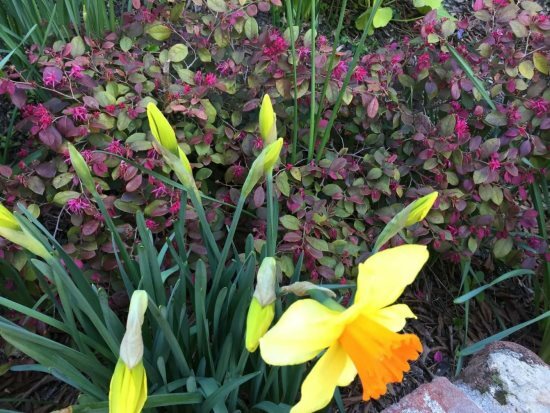 Besides the narcissi and bergenia that have been blooming successively since January, we now witness muscari, tulip, hyacinth, ranunculus, anemone, oxalis, calla lily, azalea, freesia, Chinese fringe, blue star grass, and one of my favorite overlooked specimens, hellebore joining the parade. Hellebores are deer-resistant, low-maintenance perennials that stir with blooms (actually sepals protecting the flower) before other plants. 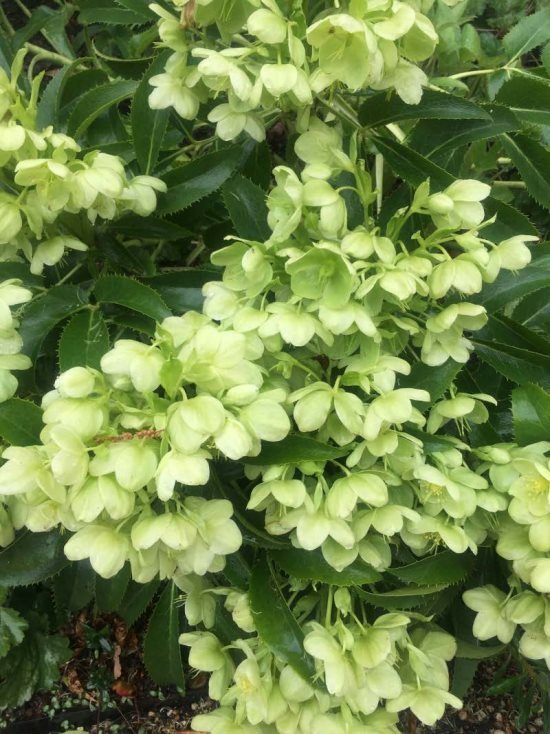 Known as the Lenten rose, they prefer partial shade, are evergreen and boast flowers January through May. If you plant them on a slope, you'll be able to see the flowers more easily as their stems face downwards. Hybrids include shades of ivory, jade, maroon, pink, yellow, speckled and fringed combinations. As the soil warms and the daylight hours grow longer, it is time to prepare your garden for seeding by weeding, hoeing and adding rich soil. This year I have chosen packets from Renee's Garden (http:/www.reneesgarden.com) and have already jotted down when the seeds will be planted. 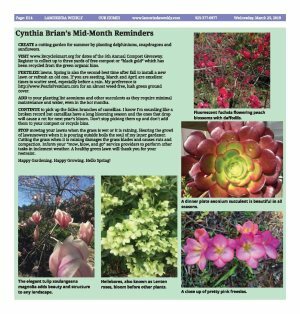 At the end of March or beginning of April, I will be planting beets, leeks and clarkia. In April I will add cleome, columbine and dwarf dahlias. Brussels sprouts will wait for a summer sowing. Pumpkin seeds that I've saved will be planted in late May in anticipation of Halloween and Thanksgiving. If you want to carve them, choose a fun variety such as Warty Goblin or Super Moon. For that delicious holiday pie, the go-to favorite is Pik-a-Pie. Pumpkins need a large area to grow making it essential to plan now to give your Curcubita pepo the room to thrive. Small pumpkins need a 12-foot area, medium pumpkins require 24 feet, and giants want a 36-48 feet space per plant. Are you thinking of including perennials that will attract butterflies, bees, bats and birds? The National Pollinator Garden Network has announced it has surpassed its goal of registering 1 million pollinator gardens. In just three years, 1.04 million gardens were registered with the Million Pollinator Garden Challenge. From tiny yards to public gardens, the million-plus gardens add up to a network of approximately 5 million acres of enhanced or new pollinator habitat. Offer a buffet with a diverse array of flowers, herbs, colors, fragrances, sizes, and shapes that will encourage these garden guards to visit and stay. 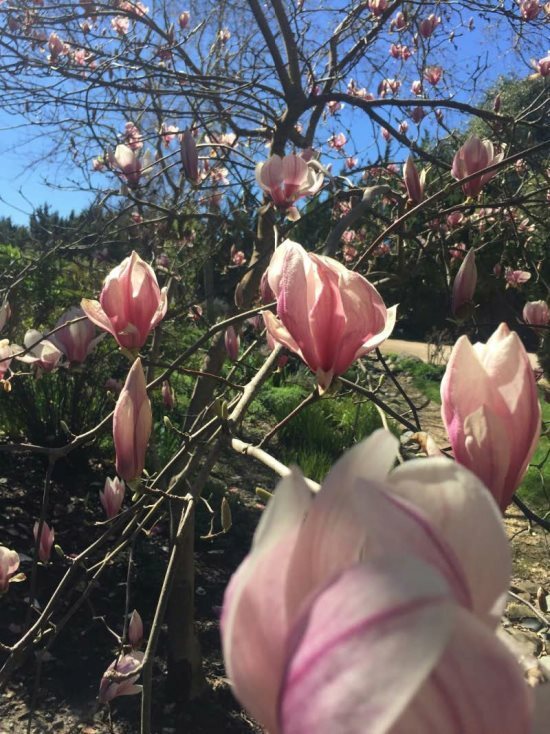 The elegant tulip soulangeana magnolia adds beauty and structure to any landscape and now is the time to choose a specimen in full bloom at your local nursery. Blooming time varies with varieties and micro-climates. Santa Rosa plum and peach trees are radiantly blossoming and will soon form fruit. Crab apple will follow shortly. Hopefully, the rains won't knock off too many buds. The frogs are chirping, birds are tweeting, and cows are mooing. The orchestra of nature waking up from its winter slumber is music to my ears. It's time to polish our dancing shoes (and maybe your nails) as the vernal equinox has arrived with an equal balance of light and dark. The season of spring has sprung. 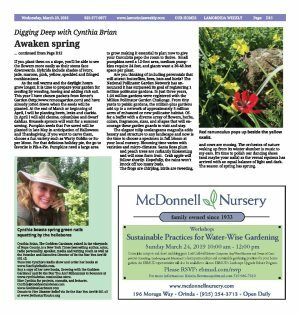 Cynthia Brian's Mid-Month RemindersCREATE a cutting garden for summer by planting delphiniums, snapdragons and sunflowers. VISIT www.RecycleSmart.org for dates of the 5th Annual Compost Giveaway. Register to collect up to three yards of free compost or "black gold" which has been recycled from the green organic bins. FERTILIZE lawns. 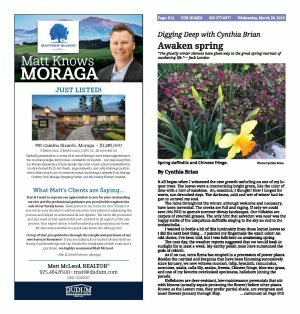 Spring is also the second-best time after fall to install a new lawn or refresh an old one. If you are seeding, March and April are excellent times to scatter seed, especially before a rain. 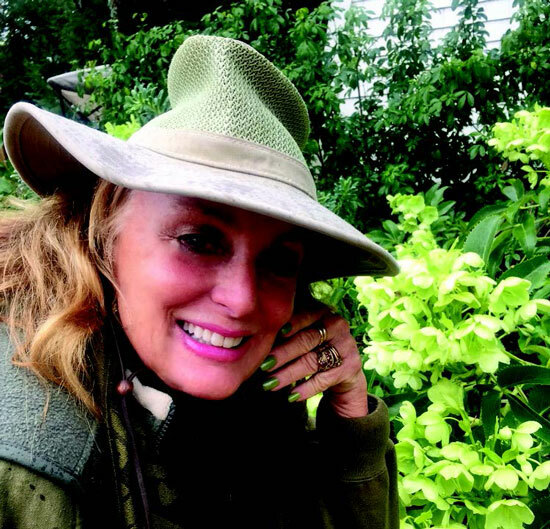 My preference is http://www.PearlsPremium.com for an almost weed-free, lush green ground cover. ADD to your planting list aeoniums and other succulents as they require minimal maintenance and water, even in the hot months. CONTINUE to pick up the fallen branches of camellias. 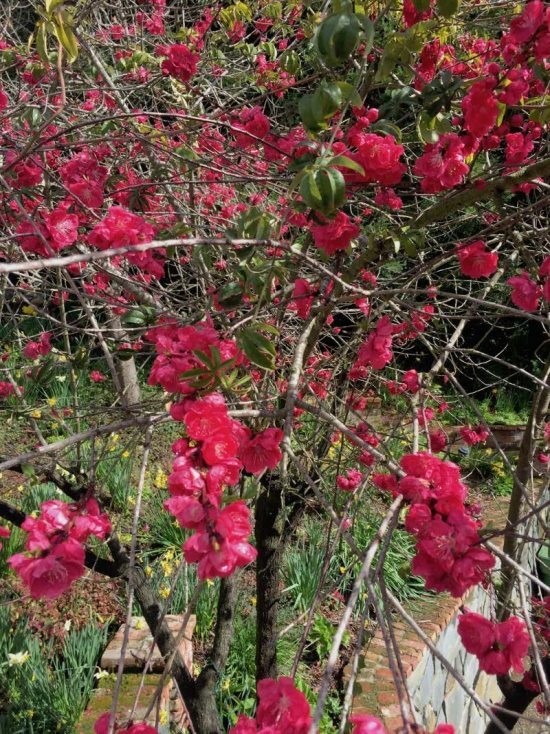 I know I'm sounding like a broken record but camellias have a long blooming season and the ones that drop will cause a rot for next year's bloom. Don't stop picking them up and don't add them to your compost or recycle bins. STOP mowing your lawns when the grass is wet or it is raining. Hearing the growl of lawnmowers when it is pouring outside boils the soul of my inner gardener. Cutting the grass when it is raining damages the grass blades and causes ruts and compaction. Inform your "mow, blow, and go" service providers to perform other tasks in inclement weather. A healthy green lawn will thank you for your restraint. Happy Gardening. Happy Growing. Hello Spring! Fluorescent fuchsia flowering peach blossoms with daffodils. The elegant tulip soulangeana magnolia adds beauty and structure to any landscape. Hellebores, also known as Lenten roses, bloom before other plants. 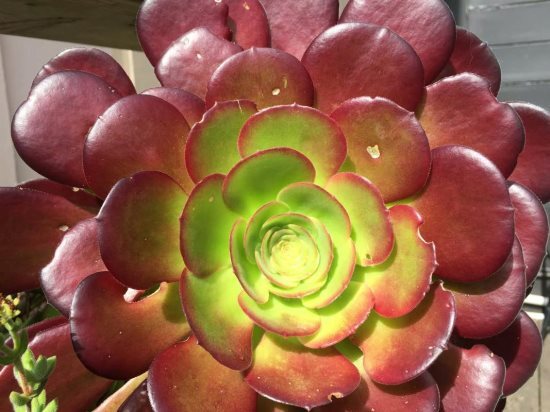 A dinner plate aeonium succulent is beautiful in all seasons. 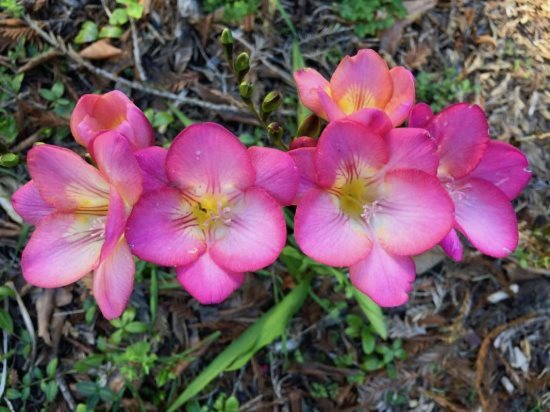 A close up of pretty pink freesias. 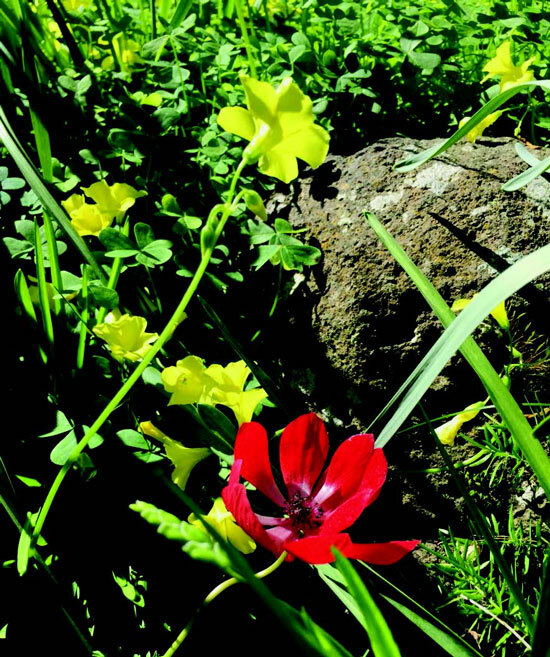 Red ranunculus pops up beside the yellow oxalis. Before you print this article, please remember that it will remain in our archive for you to visit anytime.